Interesting recipe with some uncommon (for average Americans at least) ingredients. Thanks for visiting my site. 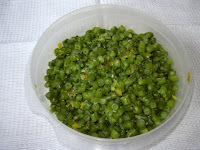 We use toor dhall in most of the recipes. cos it is the main source of protein for vegetarians like us.